Linguistic / Are you talking to me? 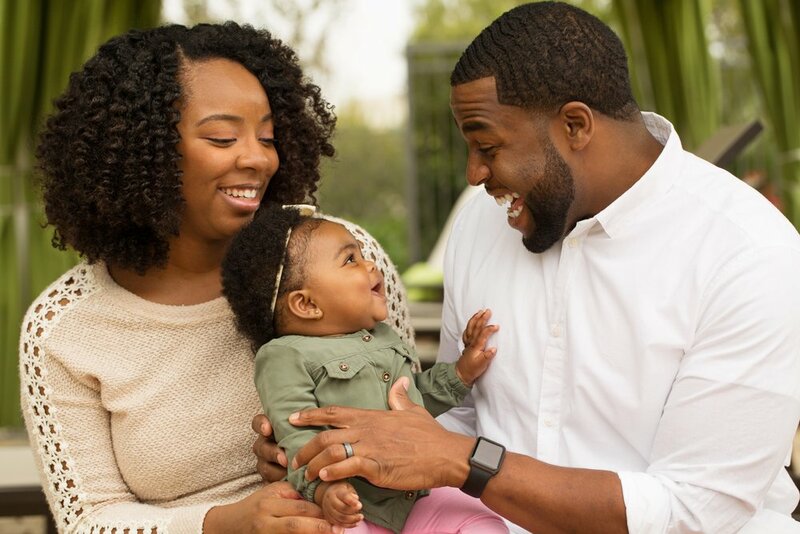 Next time you’re with your little one, try exaggerating the way you talk and your facial expressions, all the while responding to the sounds she makes. Keep an eye out for your baby’s attempts at communicating with you through babbles and grunts. When this happens, you can respond and talk back. For example, if your baby babbles at you while you’re changing her, you can talk about what you’re going to do later, ask if she likes that particular outfit, etc. Don’t expect an answer, simply acknowledge her conversational attempts. There’s no time like the present to start. Whatever your current situation is, it can be baby on the way, newborn, toddler, or preschooler, you can adapt the conversations to your child’s current capabilities. It may all come down to gurgles, sounds, or imitation, but that back and forth interactions are way more valuable than we thought. You can find tons of activity ideas that can help you foster your child’s language development in Kinedu! Head over to our Catalog today for daily inspiration. Nice Wrote. Thanks for great information.